No matter how much we hate it, duplicate songs always finds their way into our iTunes music library. Surely you know how frustrating that could be. Maybe it’s because when we’re listening to music we’re expecting to keep discovering new things. That’s why when a repeating song comes along, it breaks our concentration so much. Or may be the fact that we’re expecting too much from Apple that we’ve become extremely disappointment from every shortcoming. After all, they do hype up their product of being closer to perfection that anything. It just so happens that iTunes is indeed their product; although it’s free. Faced with this annoying dilemma, we’ve taken upon ourselves to publish a guide on how to manage iTunes replicates. 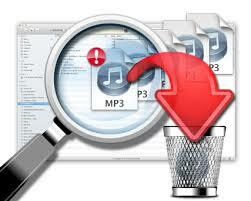 Below are the steps you should take to delete duplicates in iTunes. Most guides on how to delete duplicates in iTunes miss this step even though it’s very important. To make sure we’re on the same page, and that you should be following this guide in the first place; you have to check if your iTunes version is up-to-date. 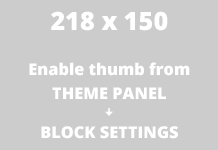 You can do this by clicking the ‘Help’ drop-down on the menu bar. From there, you should select ‘Check for Updates’ next. Take not that the most recent version is version 11.1.3.
iTunes is a pretty powerful all-in-one multimedia managing software from Apple. It’s like the Swiss army knife of music players. It’s a good thing that Apple included a tool to aid its users in detecting those pesky duplicate songs from their music library. Trust me, but as your music library gets bigger, say, above 5gb or more, you’ll be performing this task every couple of months or so. That’s why you need to become familiarized with the ‘Show Duplicate Items’ option under the ‘View’ menu. It allows you – the user, to isolate the duplicate songs from the ones that you do not want to disturb. If you want your sorting to be more specific, holding the ALT key while clicking the ‘View’ menu will offer you the option to choose ‘Show Exact Duplicate Items’. It’s a bit more stringent in displaying delete-worthy songs because it won’t highlight songs in different versions. Once the duplicates are highlighted, it’s up to you to right click each song so you’d be given the option to ‘Delete’ it. Now this can take time, so a better way is to pin down on the ‘Command’ key (Mac) or ‘Ctrl’ key on Windows to select multiple songs before you delete them all at once. Doing the latter saves you a lot of time obviously.